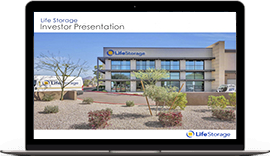 Life Storage, Inc. is a self-administered and self-managed equity REIT that is in the business of acquiring and managing self storage facilities. Located in Buffalo, New York, the Company operates more than 750 storage facilities in 28 states and Ontario, Canada. An industry leader in innovative technology, Life Storage recently launched “Rent Now," a fully-digital rental platform allowing customers to self-serve and "skip the counter" by completing the rental transaction online. 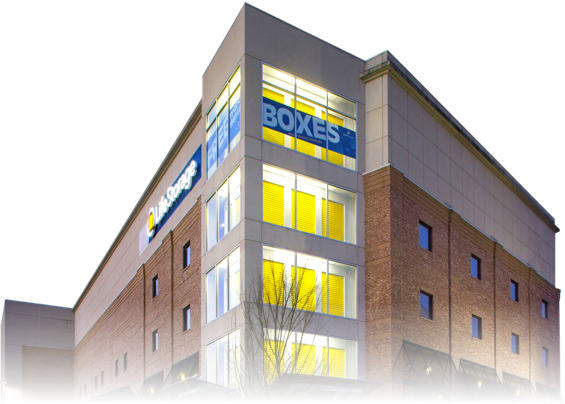 The Company is also redefining the way corporate customers utilize self storage by being the first to offer an intelligent warehousing solution through its subsidiary, Warehouse Anywhere. Warehouse Anywhere seeks to help solve the last mile delivery challenge of its corporate customers through a forward deployed, unmanned, decentralized model combining self storage asset management with propriety inventory tracking technology. Our purpose is to help people love how they look, and we accomplish this by providing a personal, convenient, one-of-a-kind shopping experience with compelling products and world-class service.